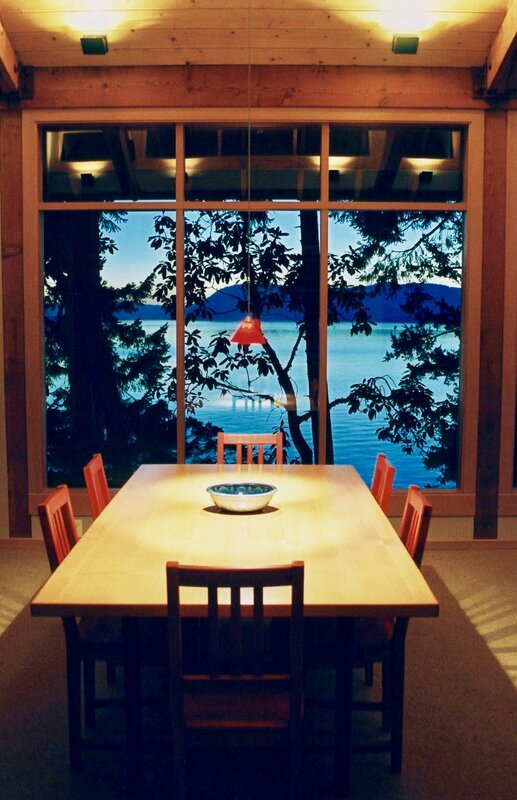 This home is located on North Pender Island, one of the Gulf Islands between Vancouver and Victoria, BC. The site is steeply sloping, with many large rock outcrops from the road, located high on the property, to the ocean shoreline below. The site enjoys spectacular views and beautiful sunsets. To best access the views and light, the location of the home is midway down the slope. With no reasonable building site available, the design of the house is a true “bridge” house, with the structure resting on three 24-inch tall steel “I” beams that span between opposing rock faces, over a gulley. A seasonal stream runs unimpeded under the house, which creates a dynamic connection to the shoreline, 60-feet almost straight down. The house is small in size yet capable of accommodating many visitors. Every part of the home is spatially efficient and well organized, from a sleeping loft accessed by a pull down ladder, to an outdoor cool closet for extra food storage, to multiple small decks, the use of each being specific to the light and time of day. 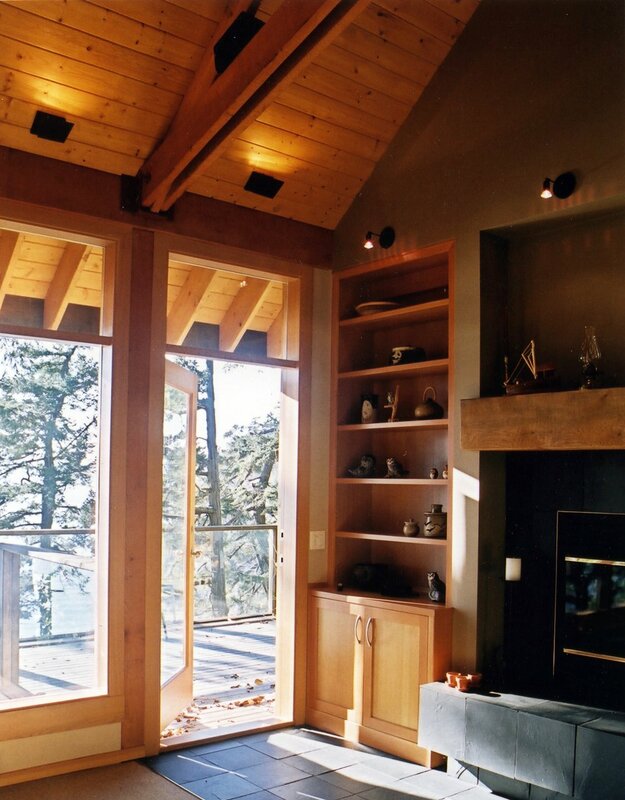 With this unique solution to the position on the property, plus incorporating local natural materials in a true post and beam fashion, the Pender Island Bridge House provides an inspiring and enriching home environment with minimal impact on the environment.